Right now, the candidates at the forefront are Marine Le Pen and Emmanuel Macron. Marine Le Pen is a Regional Councillor for Nord-Pas-de-Calais, Député of Île-de-France, President of the National Front, and white supremacist Patriot™. She succeeded her father, Jean-Marie Le Pen, as the President of the National Front, and compared the simple presence of Muslims in France to the Nazi occupation of the country during World War II. Today, Game Freak and Nintendo's legendary multimedia Pokémon franchise is turning old enough to drink. 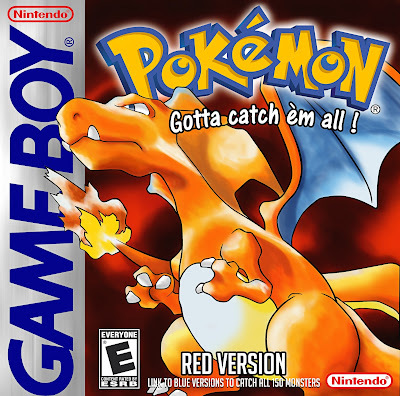 On February 27, 1996, Pokémon Red and Green Versions were released to Japanese markets, to instant commercial success and positive reviews from game critics. Red and Green would prove to be the starting point for a franchise that would endeavor into the fields of television, music, fashion, motion pictures (one of which was scathed by me here), and many more. Appropriately, the Pokémon Go app was just announced to have passed the 650M downloads mark, showing the app's (somewhat diminished over the months) popularity. I hope the Pokémon franchise goes on for many more years, letting future generations try and Catch 'em all. Go home, Pikachu. You're drunk. You had too much for your 21st. CJ-Moki here. I'm really sorry that this is the third post in a row with a Trump tweet embedded: Russia talk is FAKE NEWS put out by the Dems, and played up by the media, in order to mask the big election defeat and the illegal leaks!— Donald J. Trump (@realDonaldTrump) February 26, 2017 For starters, it appears as though President Trump has determined "Russia talk", most likely referring to discussion of the Russian government's likely interference in the 2016 election process, as well as their involvement in the Trump administration, to be intentional misinformation. More disturbing is his claim that the Democratic Party spread the "FAKE NEWS", giving an image that everybody in his party's primary opposition are enemies to be shunned. I will not be attending the White House Correspondents' Association Dinner this year. Please wish everyone well and have a great evening! — Donald J. Trump (@realDonaldTrump) February 25, 2017 As he stated in a tweet earlier today, Donald J. Trump will not be attending the 2017 White House Correspondents' Association Dinner. To my knowledge, this is the first time that a president has been absent from the annual charity dinner since Ronald Reagan declined to attend in 1981, citing a gunshot wound from an assassination attempt on him the previous month. Trump declining to attend the charity dinner seems to be an attempt to avoid any sort of criticism or mockery directed towards him. According to the New York Times, Trump was "brutally mocked" by then-President Barack Obama at the 2011 Association Dinner. FAKE NEWS media knowingly doesn't tell the truth. A great danger to our country. The failing @nytimes has become a joke. Likewise @CNN. Sad! — Donald J. Trump (@realDonaldTrump) February 25, 2017 — Donald J. Trump (@realDonaldTrump) February 25, 2017 Earlier this evening, President Trump posted a tweet (embedded above), where he labels the "failing" New York Times, as well as CNN, as "jokes". By referring to them as such in a tweet where he also said that "FAKE NEWS media knowingly doesn't tell the truth", President Trump implies that the New York Times and CNN are both fake news. Back on 1/21, the day after Donald J. Trump's undeserved inauguration into the Oval Office, I went with my family to our local Women's March. Of the many groups we protested for the rights of, one of them was the transgender community. At the 2016 Republican National Convention, now-President Trump claimed that he would "do everything in his power to protect our LGBTQ citizens", and a White House press release from 1/31 says that Trump is supposedly "respectful and supportive" of LGBTQ rights. So far, President Trump's actions in office say otherwise. It's been more than half a decade since I posted anything here. Greetings. My alias-of-choice is CJ-Moki, and I am a retro gamer and wannabe political scientist who likes history. From this point on, CJ-Moki Live (formerly The Root Beer Kid) will be a blog about politics, as well as whatever I am compelled to write about.